R. Kelly is performing at Roosevelt University. 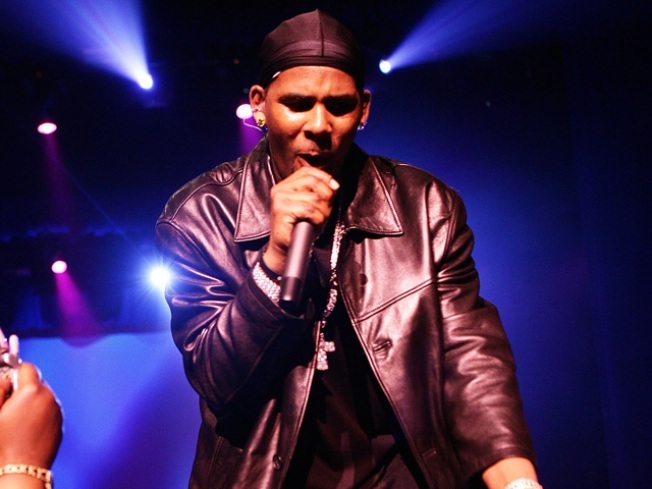 R. Kelly's "Sign Of A Victory" has been selected as one of the official anthems of the upcoming 2010 FIFA World Cup in South Africa. One of three official songs for the event, the soaring ballad reflects the spirit of giving and will highlight the charitable aspect of the World Cup. R. Kelly and the Soweto Spiritual Singers will perform "Sign Of A Victory" together at the opening ceremony on June 11 at the Johannesburg Soccer City Stadium. "I feel blessed that 'Sign Of A Victory' was selected to be part of the 2010 FIFA World Cup," Kelly said. "The FIFA World Cup is an event that brings the world together and inspires us to be and do the best we can. It's this uplifting feeling that I tried to capture in the song." The Soweto Spiritual Singers commented, "we share our exhilaration in working with R. Kelly on 'Sign of A Victory.' It is a testament to the talent and artistry we possess as South African artists that we can stand shoulder to shoulder with our fellow international musicians." The rousing song is an uplifting message of triumph and victory, combining Mr. Kelly's soulful delivery with the sweet urgency of the Soweto Spiritual Singers choir. "Sign Of A Victory" blends American R&B/Pop with African musical influences and choral chants in Zulu. The Soweto Spiritual Singers is a versatile 27-member vocal ensemble comprised of indigenous talent from Soweto. Their repertoire consists of all forms of gospel genres and traditions. "Sign Of A Victory" will be included on Listen Up! The Official 2010 FIFA World Cup Album set for release on May 31 and June 1 by Sony Music Entertainment. In late April, Shakira's "Waka Waka "The Time for Africa)" was also announced as an official World Cup song. Proceeds from the album will benefit FIFA's "20 Centers for 2010" initiative, whose aim is to achieve positive social change through football by building twenty Football for Hope centers for public health, education and football across Africa, and other African charities.